Verizon Wireless, the nation’s largest carrier, has scored a whopping $2.25 billion in profits and added nearly 1 million new wireless subscribers in the second quarter of 2013. With a net income of 78 cents a share, Verizon beat analysts expectations for 72 cents. The total quarterly revenue grew to $29.8 billion for the New York-based carrier who was the first to massively launch a 4G LTE network. Now, that huge investment is paying off as 941 000 subscribers signed into Verizon contracts. 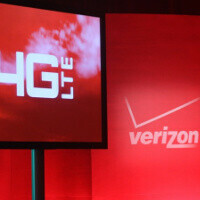 Verizon now covers 500 U.S. markets with high-speed 4G LTE connectivity while its biggest rival AT&T only covers 300 markets. “Having posted double-digit earnings growth in five of the last six quarters, we are focused on continuing to provide the best portfolio of products on the most reliable networks; capturing incremental revenue growth in broadband, video and cloud services; and sustaining our earnings and cash-flow momentum,” Verizon’s chief executive Lowell McAdam said. I left Verizon for ATT for wireless data -- same 5GB at $50 a month for 2 years except ATT has faster LTE speeds. Only thing I miss is $80 for 10 GB with Verizon. If I need more data, I have 4G Wimax with Virgin Mobile for $35 a month for 10 GB. If I had to redo everything, I would sign up with Millenicom's 20 GB of LTE data over Verizon's network for $70 a month. I have no regrets, I racked up over 90GB of 4G LTE Data during my last billing cycle and I only pay $23.99 (after a 20% discount on my $29.99 Unlimited Data feature). Again, I couldn't be happier. It's amazing to me how both you and Dorothy are both racking up 90+GB each while others are getting throttled at 3&4GBs. And you're both paying the same price. What's your secret? Lol, If you've never seen her around here, never mind. But I'm serious, how are you NOT getting throttled? Do they send you warnings or anything? Nope, I've never gotten throttled and I've never gotten any warning. Ironically, I've called into Customer Service with bogus issues to see if anything is ever brought up - NADA, NOTHING, ZILCH! My cycle just rolled over on the 16th and on day 1 I downloaded about 10GB ... lol Adobe CS6 MC (a legitimate copy, I assure you and something else; I think Motion & Compressor for FC10). Wimax on Virgin is pretty good at 4 to 6 Mbps download speeds. The first 10 GB is unthrottled; anything over 10 GB is capped at 2 Mbps. So it's unlimited data at $35 a month, without a contract. I keep a small balance and that keeps my account good for 1 year. If you want Verizon LTE speeds, then go with Millenicom at $70 per 20 GB -- also, without a contract. Unfortunately, I found out about Millenicom after I signed up with ATT. Thanks for the tip, will do. Tmobile is $70 a month for unlimited everything and they don't throttle you. At this point that would be near impossible for a mass exodus from Verizon to happen. No other carrier offers any thing close to the kind of coverage that VZW does. No one wants to leave VZW for T-Mo when you cant get close to the same coverage no matter how much the plan is. PS I would love to leave VZW as I am a customer. Fortunately I am still on a grandfathered unlimited data plan. I agree. I don't think there will be any mass exodus either, but notice there was no mention of churn in this article and thats usually something these guys like to brag about. Also, they didn't say NET 1 million subscribers. I wonder if these were left out on purpose? Can anybody acknowledge that Verizon wireless is not the same company a Verizon. Verizon wireless is not a publicly traded company. Verizon communications is. While Verizon owns vzw they are not the same company. Verizon wireless is a joint venture of Verizon communications and Vodafone. Verizon Communications owns the majority of VZW. Last I heard, Verizon Communications was looking to buy out Vodafone's shares. I guess it was a good idea to have it as a joint venture at the beginning, when Bell Atlantic and GTE needed a partner to build out a nationwide network. But Vodafone Europe doesn't even use the same network tech as Verizon today. Its funny every quarter every wireless company states that they added x amount of new subscribers to their data base. The companies all mention their churn is low. Here is an idea how the companies are getting these numbers. Customer declines insurance, breaks phone, needs new one and the sale rep informs of no discount unless you add a line for $40.00 and if you look at the $40 mth for 24 mths is $960.00 plus taxes. This is a small example, and I know this because I have worked for a few major carriers, and this is always the last option. This is not the economical option, but twisted the right way, adds a line to the customer acct, gets the discount on the phone, and the wireless carrier reports a new add. The carriers are not breaking down the number of tablets sold with the 3g/4g aircard built in that they are selling and getting all the revenue after 24 mths. Lets face it, we feed the carriers what they want which is our money, yes, in return their is a wireless service provided. So looking at all the profit, its funny how carriers are afraid to pay their staff the way they should. I know a lot of people in retail in VZW and have been told how their commission structure has been revamped, and altered to do more and make less. So $2.5 billion in profit for 90 days is very impressive, yet, the reps get maybe $1000-$1500 for commission before fed and state taxes, and all the headaches that go with the whole sales process and the clincher is when the a customer orders online and walks into the store and says I am dumb I dont know how to activate this phone please help me. After all the help the customer thanks and I will see you if I have anymore problems, and the end result is profit for the company and nothing for the rep. There is another reason of billions in profit for VZW,ATT and the others. Sorry I went on a rant all.